CLICK HERE TO REGISTER - Now Closed! Registering before or by Tuesday, February 6th, 2018 will help to ensure you are meeting with your legislator(s). PLEASE NOTE: Legislator meetings cannot be guaranteed for registration after Tuesday, February 6th, 2018. Be a Sponsor! CLICK HERE to download the Sponsorship Form (PDF). Join your HR colleagues from around the state at our 4th Annual WISHRM Day on the Hill event! The Day on the Hill provides you the unique opportunity to travel to Madison, WI for a day of legislative insight and networking with colleagues and legislators. The event is scheduled in February to provide our attendees with the opportunity to make an impact prior to the end of the current legislative session. The day will begin with Meredith Nethercutt, Senior Associate for Member Advocacy at National SHRM will deliver training on how to conduct an advocacy meeting with a Legislator and/or Legislative staff member. Then there will be an employment law update from Attorney Bob Gregg of the Boardman & Clark Law Firm. Attorney Tony Renning of Strang, Patteson, Renning, Lewis & Lacy, S.C. Law Firm will give a brief discussion on "How a Bill Becomes a Law" followed by a Legislative Update from the State Capitol by Chris Reader, Director of Health and Human Resources Policy at Wisconsin Manufacturers and Commerce. Susan Sieger, Senior Compliance Consultant with Employee Benefits Corporation will present on the State of Healthcare. After a networking lunch, we will then hear from Reporter Jessie Opoien who covers state government and politics for the Capital Times in Madison. The day will conclude with scheduled meetings with your individual Legislators and/or Legislative staff members at the Wisconsin State Capitol. Business attire is recommended for legislative meetings. The Day on the Hill will provide a great opportunity for you to advocate on behalf of WISHRM and the HR profession, to learn more about the political process, and to have a real impact on the public policy debate in Wisconsin involving critical HR and business issues. Also, join us at the Top of the Park on Tuesday evening from 5:30pm to 7pm for a social/networking event. Dress is casual. If you are unable to attend the Wednesday Day on the Hill event, but would still like to attend the Tuesday networking event, the cost to attend the networking event only is $25. A $40 administrative fee will be charged for conference cancellations received before February 5, 2018. Requests for refunds after February 5 will be denied unless there are extenuating circumstances which prevent an attendee from finding another person to attend the conference in their place. An extenuating circumstance may include an unexpected death in the family or medical emergency. Proof of the hardship will be required. These requests will be reviewed by members of the WI SHRM Executive Council, Day on the Hill Co-Chairs and the Conference Liaison Director on a case-by-case basis. Deadline: January 25, 2018 - Rooms may still be available after this date. Please call the hotel to inquire! 11:00 - 12:00 PM A Preconference Webinar is scheduled to assist those who have registered to meet with their legislators. Preparation will include meeting etiquette, what to expect and how to make the most of your time at the Capitol. This webinar will be hosted by National SHRM. Connection information will be emailed to registered Conference attendees in advance. 5:30 - 7:00 PM Join us at the Top of the Park in the Park Hotel on Tuesday evening from 5:30pm to 7pm for a social/networking event. Dress is casual. If you are unable to attend the Wednesday Day on the Hill event, but would still like to attend the Tuesday networking event, the cost to attend the networking event only is $25. Presenter: Tony Renning, Attorney at Strang, Patteson, Renning, Lewis & Lacy, S.C. Note: Those unable to attend the pre-conference webinar regarding legislator meeting etiquette will have the opportunity to review the webinar content with Meredith Nethercutt from National SHRM over lunch. Attendees will spend time on last minute meeting preparation and head to the Capitol together for a group picture before meetings begin. Attendees will have an opportunity to engage their State Legislators in pre-scheduled discussions allowing for there to be open dialogue about who SHRM is, what we represent and the opportunity for Legislators to better understand how a future relationship with us can benefit them when workforce planning and employment related legislation is presented. About the Program: The “new” Administration and “new” Congress has been in control for a full year. Some things have changed, some are the same, and there is ongoing confusion, as even different Departments of the same Administration take opposite positions and fight with each other in court. What is an HR professional to do? What to expect? AND some good advice on recent legal developments. Bio: Bob Gregg, Co-Chair of the Labor & Employment practice at Boardman & Clark LLP in Madison, Wisconsin, has been involved in employment relations for more than 30 years. Bob’s practice has a special emphasis on documentation. He trains managers and investigators in proper investigation and documentation practices. In addition, he litigates employment cases, representing employers in all area of employment law. His main emphasis is helping employers achieve enhanced productivity, creating positive work environments, and resolving employment problems before they generate lawsuits. He has designed the workplace policies of numerous employers. Bob has conducted more than 3,000 seminars throughout the United States and authored numerous articles on practical employment issues. Bob is a member of the Society for Human Resource Management, the National Speakers Association, a National Faculty Member of the American Association for Access, Equity and Diversity and serves on the Board of Directors for the Department of Defense Equal Opportunity Management Institute Foundation. About the Program: Meredith will provide a brief overview on the engagement activity associated with meeting and advocating on Wisconsin SHRM’s behalf when engaging our state Legislators. A role play will be presented to demonstrate how a constituent/legislator meeting should be handled. She will discuss A-team initiatives at the National SHRM level. Bio: Meredith Nethercutt is senior associate for member advocacy at the Society for Human Resource Management. Overseeing SHRM’s Advocacy Team (A-Team) network of volunteer advocates, Meredith facilitates relationships between SHRM members and lawmakers to strengthen the Society’s advocacy objectives in legislative districts nationwide. In addition, Meredith provides training and guidance to HR advocates on how to effectively communicate with lawmakers regarding workplace policies. A critical part of the Society’s enhanced advocacy initiative, the A-Team advances the HR perspective and agenda by leveraging the reach and knowledge of SHRM members through grassroots advocacy. Prior to joining SHRM, Meredith served as director of public affairs and grassroots advocacy at the National Association of Manufacturers (NAM), where she oversaw the complete association advocacy program branding and reorganization, as well as the construction of a strategic association-wide key contact program to leverage relationships between manufacturers and federal lawmakers. Meredith’s previous career experience includes advocacy positions with the International Franchise Association (IFA) and the National Restaurant Association, where she managed both association’s grassroots programs. She started her career in advocacy at Associated Builders and Contractors. Meredith received a Bachelor of Science degree from Vanderbilt University. She resides in Denver, CO.
Tony Renning - Strang, Patteson, Renning, Lewis & Lacy, S.C.
About the Program: Tony will provide a brief overview of how a bill becomes a law (maybe even using song (think "School House Rock")). The How a Bill Becomes a Law presentation is intended to provide a general understanding of Wisconsin's legislative process and provide suggestions for how to make an impact when participating in that process. 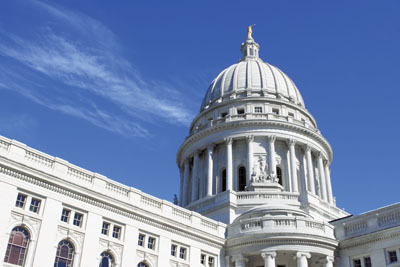 The presentation will focus on how some of the ideas generated by Wisconsin SHRM and its members are now bills moving through the legislative process and, ultimately, will hopefully become law. It is important that we, as citizens of Wisconsin and constituents of representatives and senators, know and understand how our state government works. 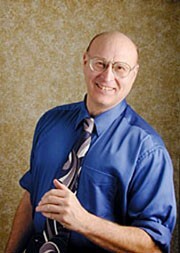 Bio: Tony concentrates his practice in labor and employment and school law as well as litigation and counseling. He provides advice and counsel to employers about their rights and obligations under federal and state laws and regulations. He advises on all aspects of labor and employment compliance, including wage and hour, leaves of absence, discrimination, harassment, reductions in force, workforce management, employment policies and handbooks as well as a number of other employment-related matters. He also has experience with labor negotiations, union certification, and decertification campaigns, unfair labor practice litigation and contract administration, including grievance arbitration. Tony's primary client base includes private (various industries) and public (counties, cities, and school districts) employers of all sizes. About the Program: In this session we will review the legislative and regulatory landscape under the Trump Administration. We have seen Executive Orders, talk of tax reform and changes to the employer exclusion on healthcare, repealing and replacing Obamacare, and the looming threat of the Cadillac tax. What changes have occurred under President Trump’s first year in office? What changes might be on the horizon? Where does the Affordable Care Act fit into 2018, if at all? We will discuss how the current regulatory and legislative climate is impacting employee benefits now and a prediction of where we are going in 2018. 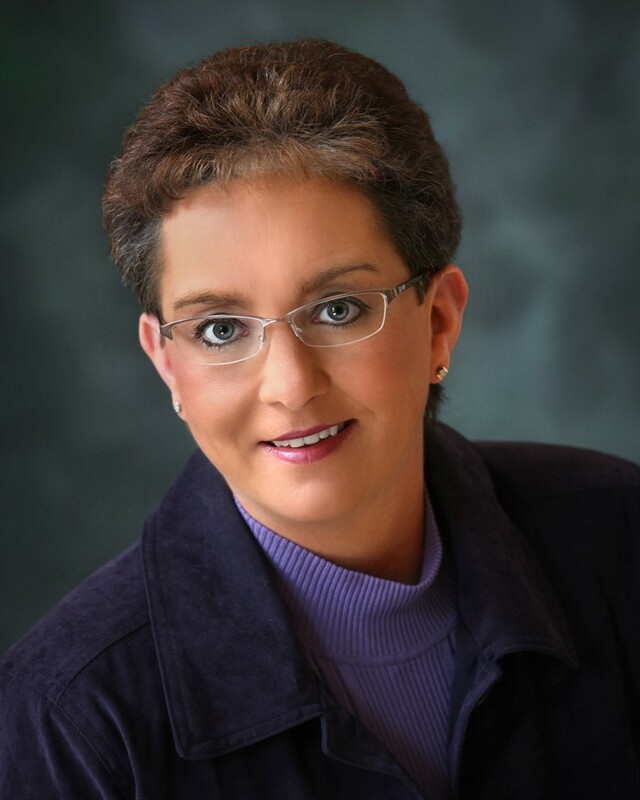 Bio: Susan Sieger has over 25 years of experience in the employee benefits industry. As senior compliance consultant at Employee Benefits Corporation, she has worked with thousands of employers and has become a leading specialist in Section 125 and Section 105 Plan design and administration. She holds a current Wisconsin insurance license, which broadens her knowledge base when consulting with employers’ regarding employee benefit plan decisions. Ms. Sieger is also a current member of the Wisconsin Association of Health Underwriters (WAHU) and the National Association of Health Underwriters (NAHU). Ms. Sieger is a frequent speaker on employee benefits and regularly conducts employer and agent training nationwide. She has conducted seminars for the Society of Human Resources, the Wisconsin Association of School Boards (WASB) and the Minnesota Association of Health Underwriters (MAHU) and Wisconsin Association of Health Underwriters (WAHU) to name a few. Ms. Sieger holds the COBRA Administration Specialist (CAS) designation and the Advanced Certificate in Flexible Compensation Instruction (ACFCI) from the Employer Council on Flexible Compensation (ECFC). Sue currently serves on the ECFC Education Committee (past chair) and ECFC Conference Committee and is a frequent speaker at the ECFC Annual Symposium. Ms. Sieger helps oversee the ECFC credentialing programming and has helped developed curriculum to train industry professionals in all aspects of flexible compensation and tax advantaged employee benefit programs nationwide, as well as serving as faculty for these programs. Sue has made several trips to Washington, DC, as part of the ECFC Annual Conference where she has made visits to Capitol Hill in an effort to educate Congress and legislators on the practical application of provisions of the Affordable Care Act and the importance of consumer directed accounts to working Americans. About the Program: In this brief update, Chris will talk about recent state law changes and pending reforms in areas that directly impact human resources professionals which include: Unemployment Insurance, Worker's Compensation, Non-Compete Agreements, Setting Statewide Human Resources Standards and more. Sharing his expertise and experiences in working with legislators and state agencies, the information provided by Chris will help us all to better understand the current landscape of HR-related topics in Wisconsin to help prepare us for our visits with members of the Wisconsin State Legislature. 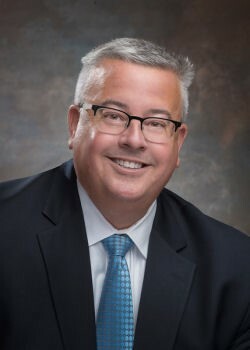 Bio: Chris Reader is the Director of Health & Human Resources Policy at Wisconsin Manufacturers & Commerce (WMC), the state’s largest trade association representing employers. Chris works with lawmakers and state agencies to advance pro-growth reforms in a number of policy areas including employment law, unemployment insurance, worker’s compensation, education, workforce development, health care and telecommunications. 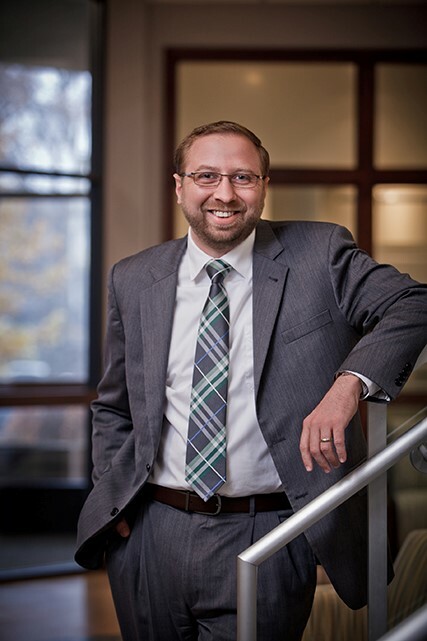 Chris joined WMC in 2013 with significant experience in state government and Wisconsin politics, having worked in a leadership role at a state agency, as a chief-of-staff in the state legislature and on several political campaigns. Chris is a graduate of the University of Wisconsin-Green Bay. He lives in Sun Prairie with his wife and children. What it is like as a member of the Capitol Press Corps covering the Governor and other state lawmakers, including an inside-scoop as to the interplay between the Governor, lawmakers and interest groups and how they get things done (the way things really get done as opposed to what the general public is privy to). What changes Jessie has observed at the Capitol and among those who inhabit the Capitol since she joined the Capitol Press Corps in 2013. What changes Jessie predicts in the foreseeable future at the Capitol and among those who inhabit the Capitol, including any changes to how things get done. The media’s role in reporting what is happening at the Capitol and/or influencing public perception – Is the media reporting just the facts or is there a media bias? A better understanding of how things truly get done at the Capitol – How is policy shaped and ultimately decided upon. A better understanding as to how to be a part of the process – who the powerbrokers are when it comes to shaping policy and how to get their ear to help shape policy (for the benefit of employers). A better understanding of why certain policy may come about in the near future – what is the driving force and how to become actively involved in shaping this policy (or being prepared to proactively implement changes). Bio: Jessie Opoien reports on state government and politics for The Capital Times in Madison. As a member of the Capitol press corps, she covers policy, lawmakers, the governor, interest groups and candidates primarily at the state level, with some attention to Wisconsin's Congressional delegation. Jessie has been recognized for her work by the Wisconsin Newspaper Association, the Milwaukee Press Club and the Washington Post's list of best state political reporters. She grew up in Marinette, Wisconsin, and is a 2011 graduate of the Iowa State University. Before joining the Capital Times in 2013, she was a reporter for the Oshkosh Northwestern. *HCRI Certification: The use of this is not an endorsement by HR Certification Institute of the quality of the program. It means that this program has met HR Certification Institute's criteria to be preapproved for recertification credit.